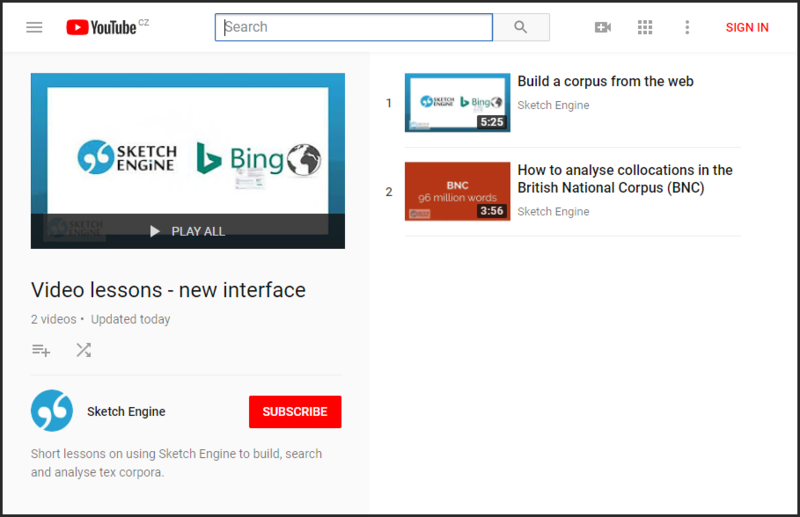 These video lessons explain how to use Sketch Engine to build, search, analyse and manage text corpora using the new interface. The videos are available from our YouTube playlist and are equipped with subtitles English and also other languages. You are very welcome to contribute subtitles in your language. To do this, click Settings – Subtitles/CC – Add subtitles. You will need to log in with your own Google/YouTube account to do this.